I have been wearing skinny jeans for most of 2010 so it is a nice change to wear these wide leg jeans I found in the back of my closet. I am definitely not giving up my skinny jeans yet but this Spring and Summer we are going to see a 70's revival which includes flared hems on jeans and trousers. It's a nice change don't you think? 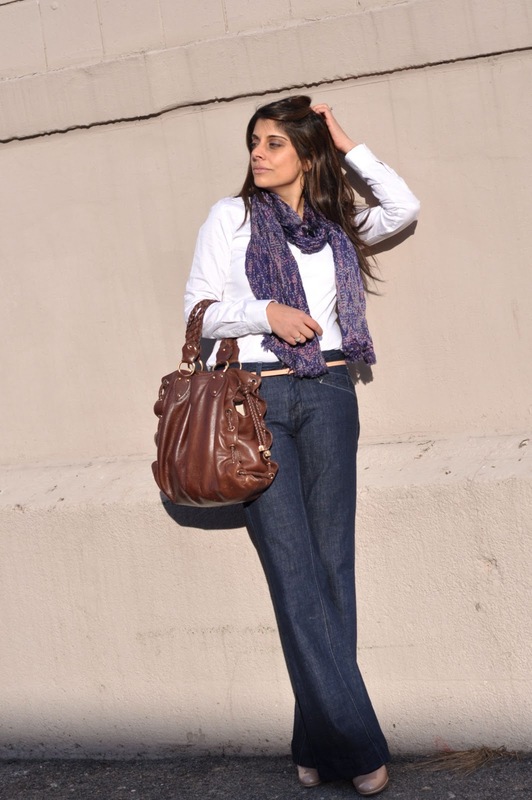 Tomorrow I will give you the skinny on wide leg jean and trouser options for Spring 2011.